Reporter Gerry A/C investigative and news Journalist…. Our investigative writer reporter has discovered a story that is potentially explosive to the blogging community. We investigated to find out more, is Gerry leaving his own blogs, has he sold out and been bought out. Well we tell all.Below we have printed the word by word short interview we had with Gerry of Gerry’ Space and other blogs. 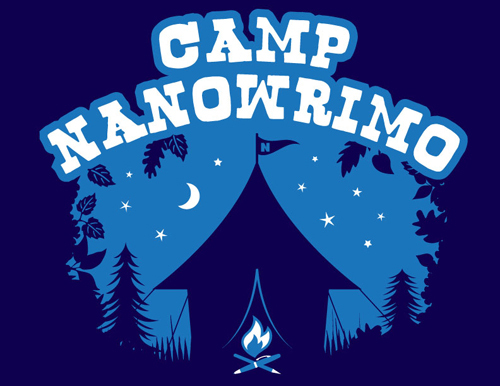 As you know I’ve been talking about Camp NaNo a bit here on The Dark Globe. I’m entering in the June camp next month and I’ve been working on my plot and other ideas for my novel. I’m sure a lot of people who decide to do NaNo have already got ideas in their mind of what sort of story they want to do. The rules of NaNo say that you can do as much plotting and character development as you wish before the event, you’re just not allowed to write the story. My question is: How much plotting do you do beforehand? Hello my fellow Dark Globians! As some of you may know in the month of November every year there is a writing exercise know as Nation Novel Writing Month or NaNoWriMo. Basically you write a 50,000 word novel in the month of November. There are prizes for those who reach the 50k mark as well as great support throughout the entire event.